A big goal of all of our classrooms is to improve communication of our students. We often think about doing this by increasing the number of words they use either with their communication devices or by speaking. However, truly improving their communication skills means going beyond the number of words that are said–it’s really about focusing on increasing the type of things they can communicate. So, to kick off this series, I wanted to focus on some things we need to know in order to do that. Yes, communication is a lot like behavior in that the functions of communication have much more impact than the form it takes. For instance, it’s great that someone can put words together to make a sentence. But if all they can do is ask for things they want, it doesn’t really matter whether they do it with a word or 20 words. They can’t talk about what they are doing. They can’t describe something if they don’t know the words. And so on. We have to focus on the number of functions of communication our students use more than we worry about how many words they can string together. I will admit that I struggle with a clear understanding of core vocabulary. But the concept of it makes a ton of sense to me. Core vocabulary are the words that are used most often in everyday language. I love that concept. What I struggle with is how to use it for students who have significant disabilities and limited understanding of language. The core vocabulary are often words that are hard to represent visually, the way most of our students with autism will understand. 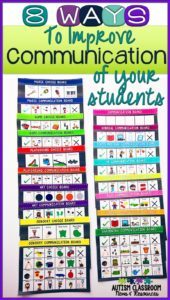 However, using core vocabulary our students can communicate so much more than if their tools only include nouns and full sentences. They can combine words in different ways to get their meaning across. The focus again is on the function of communication and getting their ideas across. It is not on how many words they say or if what they say is a complete sentence. To do this, I made a point to include a variety of core vocabulary that will allow students to start to construct new thoughts and ideas. It also provides the staff with vocabulary they can model and use to cue the student. Requesting continues to be the most powerful function of communication for most students with autism. It gets them something they want. Other students may be more motivated by social communication. 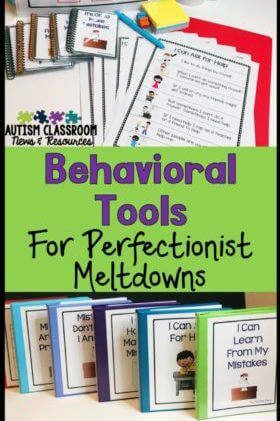 However, due to the social difficulties of students with autism, social communication is often doubly difficult. So, basic requesting of asking for motivating items is a good place to start because it’s so reinforcing. One of the most key components in all attempts to improve communication is to make sure you create opportunities for it everywhere all day long. Think about it. We talk everywhere we go. Those of us who are introverts may do this less, but we CAN communication anywhere we need to (we just might not choose to). Our students need to communicate in every situation they are in. 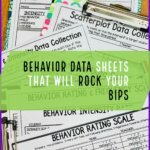 They need to communicate with multiple people, both adults and peers. And they need to talk about a variety of things. Keeping up with situation-specific vocabulary can be a ful-time job and we all know you already have a full-time job. 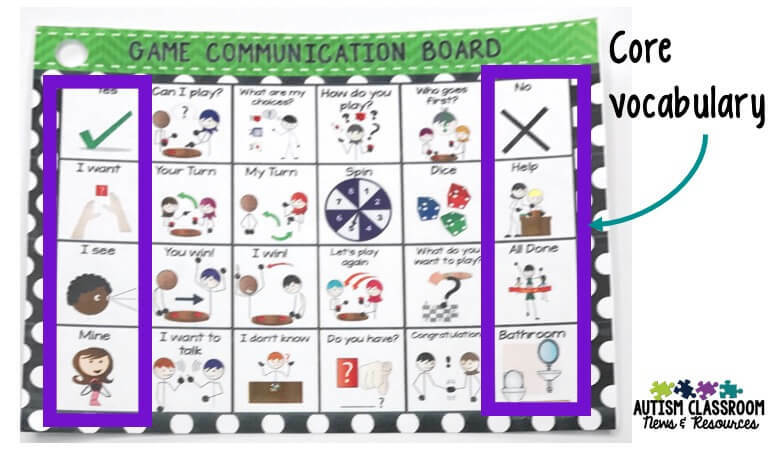 So I like to create communication boards for different activities to supplement individual devices. This way you have situation-specific vocabulary to supplement your students’ PECS book or individual devices. For instance, the student you are working with might not have the ability to search through a number of pictures to find the cooking-specific page. 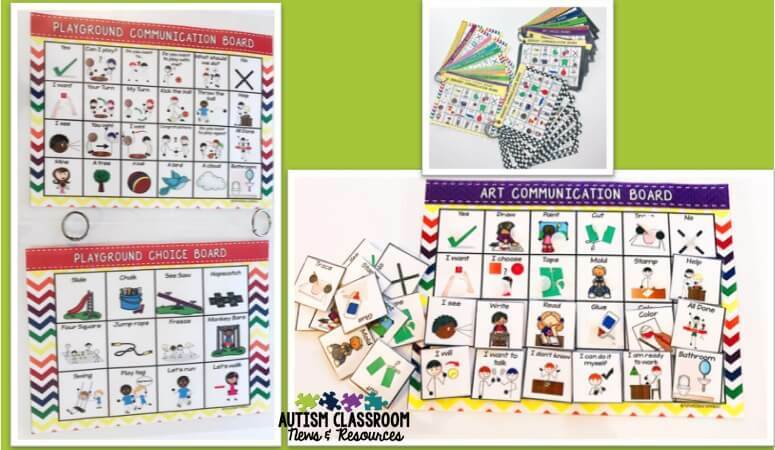 Putting boards around the classroom allows you to have that cooking-specific vocabulary on hand to prompt or allow students to communicate about the activity at hand. When I communicate, I do it with multiple methods. I use writing, and pictures and speech depending on the situation and often at the same time. It’s no different for our students. They need to be able to use different tools to communicate to have a backup when another tool fails (missing pictures, uncharged batteries). Our students also need to have ways to clarify something when someone doesn’t understand them. We typically change what we say or how we say it when that happens. Having alternate tools gives our students a way to do that. The fancy name for this in the AAC world is Aided Language Stimulation and PrAACtical AAC has a great post about it you should check out. However, if you think about it, it is common sense. How do young typical children learn language? They hear it over and over and over. We model speech for them. We even model pointing and other strategies that they will use, often without even realizing it. For some reason, though, when someone has a communication system we often drop this step. We don’t model how they should communicate–meaning we don’t use their device to communicate with them or model for them. And that really doesn’t make sense. If the student only has communication at his or her current level of skill, that is all he/she can communicate. So, if he is requesting and only has nouns and “I want” on his PECS book to communicate, that is all he will say. On the flip side, we probably have all worked with a student who had an advanced device or app with a ton of vocabulary that made it impossible to find what the student was trying to communicate. We always have to find the balance between challenging the student and overwhelming the student. 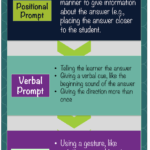 I like to do that by having simple choice boards for those making requests and more sophisticated tools to challenge students to make comments and move to the next steps. Again, then you have the tools ready to use in the activity you need them in. 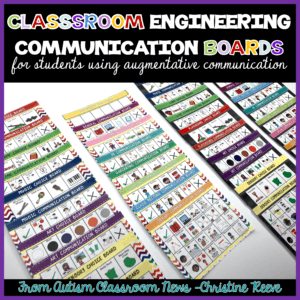 If you are interested in more ideas to improve communication and see more of the Classroom Engineering Communication Boards, you can check out the Facebook Live video below. 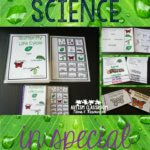 You can find the Classroom Engineering Communication Boards in my store by clicking the pictures below or throughout the post. 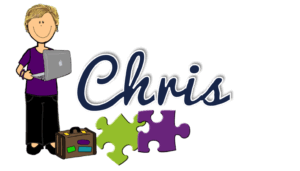 Chris, thanks for highlighting the need for providing robust communication systems and modeling them consistently. As an SLP specializing in AAC I spend a lot of time talking about these things. One of the things I have learned over the years, is that kids will learn symbols if they are taught what they mean consistently (there’s that ALgS again). Core words might be words than are less concrete to represent than nouns, but by doing the consistent modeling of how and when to use them, I have found that kids will pick up what they are and use them. It’s really not the systems that are too complex, but rather the instruction that’s not explicit enough. Thanks again for the great post on communication. I think it’s really a teaching process for both the students and the staff. He needs some time to explore it but then he needs to learn, through redirection and reinforcement of appropriate use, how to use it without getting stuck. I don’t think that taking it away from him is the way I would deal with it because it’s like taking away his voice. If he was perseverating verbally we would have to find a way to put limits on it. Perhaps there could be a time he can play with his device and time he needs to use it appropriately? I also try visual reminders for the staff to remember to leave it with him. Hope that helps.